Westerners are weird about anything we identify as a religion. If something is a religious practice, we’re skeptical, suspicious. Some of us already have a religion – and we typically think we can have only one, so we aren’t interested in another. And those of us who don’t have a religion often don’t want one – so, again, we’ll stay away from a practice if we think it’s religious. But if it doesn’t feel like a religion, we will be game to try anything: Marxism, Freudian psychoanalysis, pilates. If you have a cool therapy, technique, or analysis that you want to offer to people, you may be able to get access to schools, prisons, the military, meetings civic groups, and workplace programs to talk about your helpful practice. But if you're the messiah of a new religion, or a preacher, teacher, or guru of an established one, those institutions are much more likely to be closed to you. We're suspicious of religion. We want our public institutions generally to be neutral about religion, as we also want them to be neutral about partisan politics. We understand that religion and politics divides us. But a program that promises to be helpful to people of any religion, or none, and people of any politics, or none, has a chance to be welcomed in our public institutions. 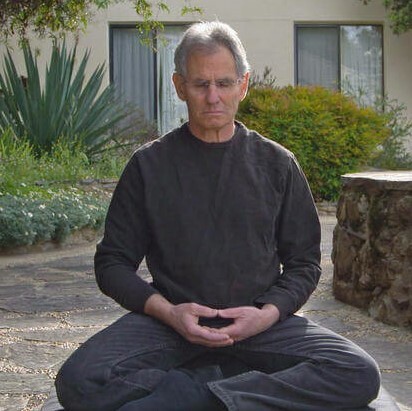 So Jon Kabat-Zinn, a molecular biologist and a long-time student and practitioner of Zen, knew that if Americans were going to accept the techniques he’d been learning in Zen, he had to find a way to present them so they didn’t feel religious. 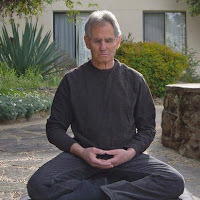 The program Kabat-Zinn devised and launched in 1979 is essentially a series of Zen trainings, but instead of calling them Zen trainings, he calls it Mindfulness-Based Stress Reduction – MBSR. 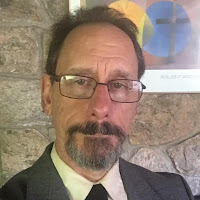 As MBSR, it doesn’t have any of those trappings associated with religious traditions: no priestly types in robes, a minimum of chanting and bowing, funding itself more from fee-for-class and less from donations, not much sense of continuing relationship once the term of the class is over. And it really took off. You pay four or five hundred dollars for a class that meets once a week for eight weeks, and you get the teaching and learn the practices without being subjected to authorities in funny clothes or membership in an ongoing community. “There are Mindful Meats, Mindful Mints and the Mindful Supply Company, which makes T-shirts.” You can paint your bedroom in “Mindful Gray.” A dairy-free mayonnaise-substitute called “Mindful Mayo” is $4.50 a jar. There’s a book – actually two books – titled One-Minute Mindfulness: one by Donald Altman, 2011, and one by Simon Parke, 2015. But mindfulness needs to be more than a brief reprieve between checking Facebook and the next episode of Stranger Things. A newer 2017 book by S.J. Scott seems to acknowledge that mindfulness will take a little more time. Its title is: Ten-Minute Mindfulness. Much of this mindfulness rage is faddish, and, I will say, not helpful. In fairness, I think there's also a lot of it that is helpful. And, full disclosure: I own and use daily: a zabuton (mat), a zafu (round cushion), inkin bell (bell on a stick), bell gong ("singing bowl"), wooden clappers, a Buddha statue, a meditation timer app on my tablet, and an ample supply of incense. The MNDFL studios and some of the apps strike me as rather pricey and often unnecessary, but for folks who can afford it, who don't have an established practice, who are looking around for what might work for them while fitting within their schedule, I'm glad they've got the options. Yes, a lot of what peddles itself as a mindful product has nothing to do with actually doing anything. Moreover, it’s important to be aware that many of the supposed advantages of mindfulness can be gotten in other ways. For instance, it's true that 30-minutes of meditating does reduce stress and lower blood pressure and promote a more positive feeling about your life. You can also get those results from 30 minutes of stretching or exercising or, for that matter, watching an I Love Lucy re-run. Many people find that the practice improves work performance, but perhaps you remember the Hawthorne effect? They kept making the lighting brighter, and productivity kept going up. Then they started dimming the lights more and more, and productivity still went up. It turns out that any change that you think will make you more focused and productive, probably will. It’s a version of the placebo effect. Maybe mindfulness training will get you a little further than the placebo effect – and so would getting more sleep. There’s also worry that companies pushing mindfulness on their employees are just trying to get more out of them without otherwise improving their pay and working conditions. Some writers have worried that “McMindfulness” placates people into acceptance of political and social injustices (e.g., Virginia Heffernan, Kristen Ghodsee, Ruth Whippman). I don’t have this worry. It’s my own experience, confirmed in numerous accounts from other people, that being rooted in the here and now, and feeling the joy in each moment, also awakens compassion, and makes us more, not less, energized to take action for justice. Your capacity for joy – your ability to feel and be present to and sustain joyousness – is equal to your capacity for sadness and pain – your ability to feel and be present to grief – for they are the same capacity. Mindfulness increases that carrying capacity for both joy and sorrow at the same time, for it is in the numbed-up mindlessness of pursuit of continual distraction that we push both of them away. Genuine mindfulness will then contribute to, rather than detract from, social activism for a more just and peaceful world, and workplace activism for fair wages and working conditions. This is part 2 of 3 of "The Mindfulness Fad"